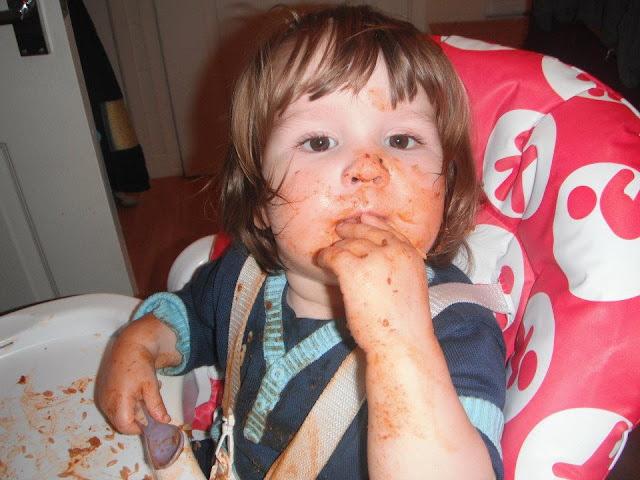 We're a few months into weaning Little E now and I've been reflecting on my experiences with all three of my children. 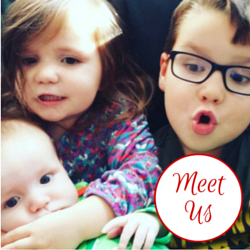 I've exclusively breastfed all of my babies until they were almost six months old, LM began weaning at around five and a half months but both boys were six months and Bud was closer to seven as he was quite poorly as he hit half a year old. Bud was a great feeder. We nicknamed him the milk monster and, when weaning came around, he just wasn't that interested! As he hit six months he came down with a horrible chest infection and solid foods were the last thing on his mind. We kept on nursing and he eventually had his first taste of food at about six and a half months. For the first three months or so he hardly dropped any milk feeds and only ate small amounts of solid foods. I offered him breakfast, lunch and dinner and he tried many different things. Food just didn't really 'click' until he was about ten months old though. I've mixed spoon feeding with baby led weaning successfully with all of my children and Bud was the one who enjoyed spoon feeding the most. As, at nearly six years old, he'd still prefer for me to dress him in the morning, this isn't really a surprise! Bud breastfed until he was twenty six months old. Despite him eating everything offered, except banana, as a baby, he's now the child who doesn't really like to try new foods, although, happily, I can usually persuade him to now he's getting older. LM was a completely different child to her big brother. 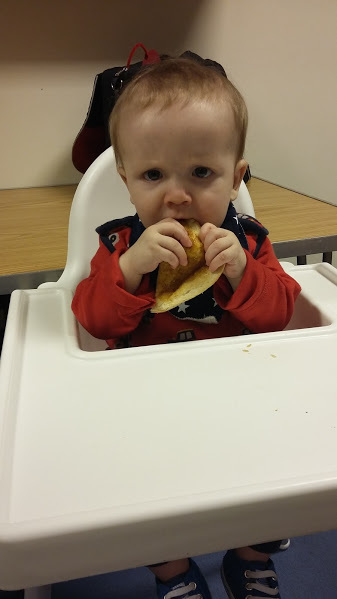 Again, we planned to follow the WHO guidelines to wean at six months but, when she grabbed a slice of bread from the table at five and a half months and proceeded to stuff it into her mouth and do a pretty good job of chewing it, we started a couple of weeks early. She was always quite a lazy feeder with milk. She was my baby who took to breastfeeding the easiest, despite the issues I had after her birth, we established breastfeeding quickly and she just 'got it'. When food came along she lost interest in milk quite quickly. She was the baby who really dropped milk feeds along the way as she began to explore food in all areas. She loved her three square meals and remains to this day a little girl with an adventurous palate and an interest in food that really isn't shared by her big brother. When we stopped nursing at sixteen months old I was very sad but my little independent girl just wanted to do her own thing. She never really tolerated being spoon fed very well and she challenged me to come up with lots of different ways to make food easy to handle for her. We're now on the exciting weaning journey with Little E and he's a good mixture of his brother and sister. He loves finger foods and has the most control of any of my babies at feeding himself. His hand-eye co-ordination is fantastic and he loves nothing more than a few steamed veggies to munch on in his highchair. Similarly though, he loves being spoon fed. His Dad says that's because it gets in his mouth quicker. He has started to feed a little less often, not to the same extent as his Sister did but we have definitely lost one feed in the morning. One thing I have noticed about Little E, which I don't remember with the big two, is that he has to have milk after a meal. It's quite funny as you know when he's had enough to eat as he starts to make his little noise which means 'I want milk now please Mummy.' I've no plans to stop breastfeeding Little E, as with the others I will be led by him. If our experiences so far are anything to go by I'd anticipate us stopping sometime between when the big two did. He's a real mixture of them both. 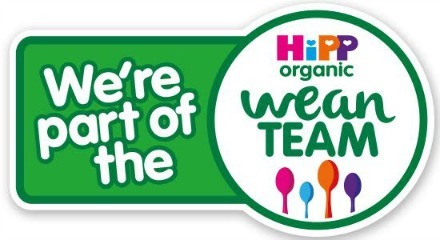 With all of my children I've used a mixture of homemade and bought baby foods and my favourite brand has always been HiPP. The first taste of food that all of my babies have had has been HiPP porridge. 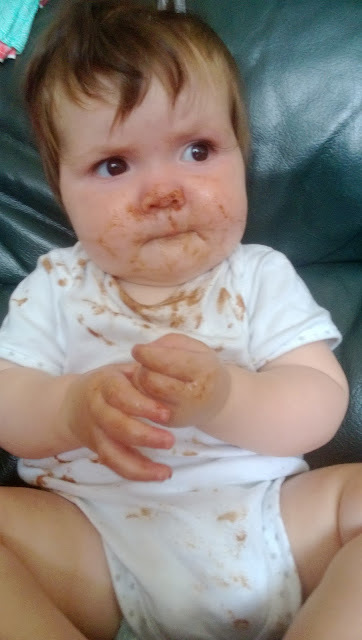 As members of the HiPP Wean Team Little E has been enjoying their range of seven months plus jars this month. He's been especially taken with the Sunday Lunch and the two which contain pasta. All of my children have enjoyed pasta as a finger food since around seven months and, actually, when LM refused spoon feeding at a very young age, I used pasta mixed with purees as a way of using them up. The jars have a coarser texture than the very smooth purees of the first food range and Little E is very much enjoying the flavours. 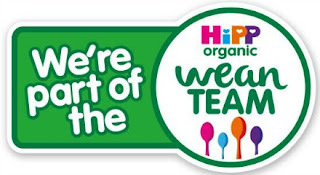 I've chosen to continue breastfeeding with all of my children but HiPP offer a range of follow on milks for those parents who choose to offer it to their babies as part of the weaning process. Follow on milks are designed to complement the weaning diet while your baby is getting used to a variety of different tastes and textures. They are higher in iron and vitamin D than standard infant formulas which can really be a help if baby is not eating many iron-containing foods and is therefore at greater risk of iron deficiency,becoming vitamin D deficient.